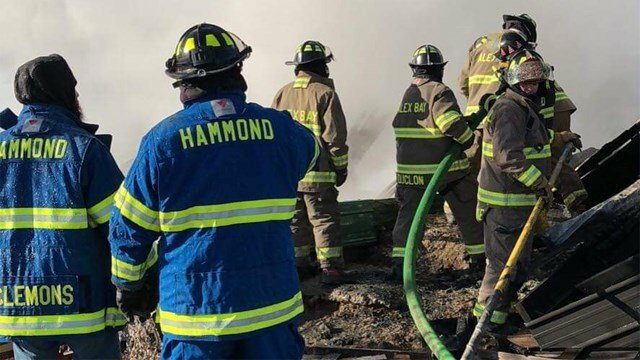 A building described as an Amish workshop sustained heavy damage in a fire near Hammond Thursday morning. It happened around 8:30 a.m. at the State Route 37 property of Jacob Yoder. Fire officials say the building was a workshop with an attached barn. It had been a home until the family moved out this week. The flames were touched off by a motor being used in the shop. Animals in the barn were all rescued and no injuries were reported. Firefighters were on scene for about five hours.